From pomp and pageantry to scones, sandwiches and sponge cakes fit for a queen - Highfields got into the spirit of celebration in style by hosting a right royal ‘teas-up’. 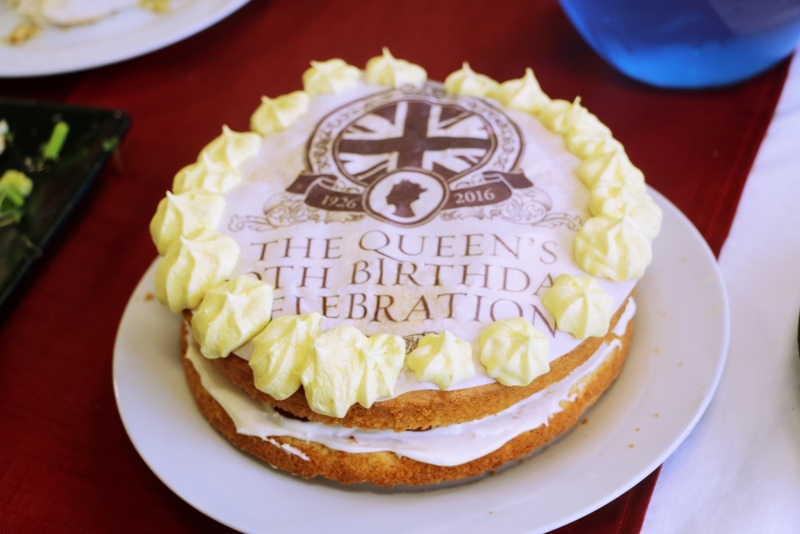 Students from Year 8 cooked up the feast fit for royalty as part of celebrations to mark the Queen’s 90th birthday. 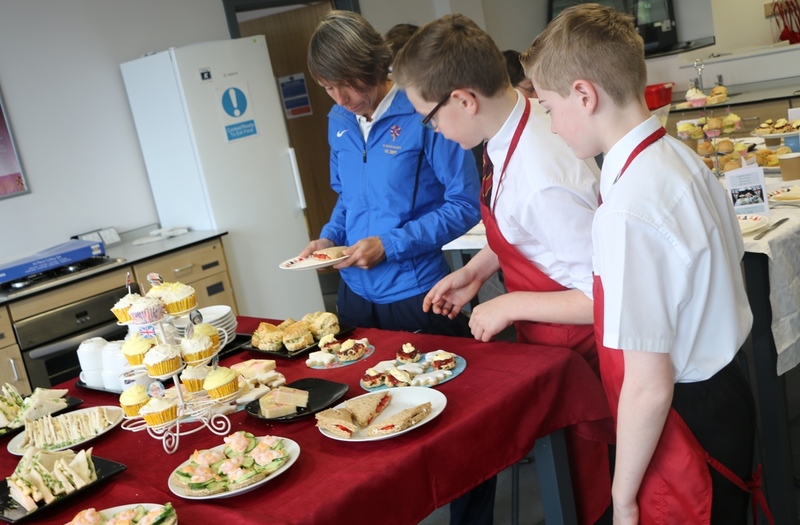 The Royal Afternoon Tea event was the brainchild of Food Technology teacher, Miss B.Chima, who helped students create their culinary masterpieces. The menu included sponge cakes with themed icing, biscuits shaped as crowns, cheese scones, prawn canapes and platters of sandwiches. Bunting was hung to set the scene and jugs of lemonade were coloured red, white and blue as selected guests tucked into the tasty treats on offer to a backdrop of music including the National Anthem and Land of Hope & Glory. Guests got into the spirit of the occasion by donning novelty masks featuring the faces of members of the Royal Family. Miss Chima said: “We thought we would do something special to celebrate the Queen’s 90th birthday by hosting a Royal Afternoon Tea. Posted on May 26, 2016 by Vicky Nash.